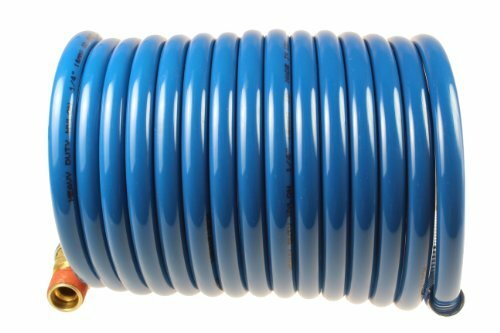 Nylon tubing is a good choice for applications requiring low density, lightweight toughness, flexibility and chemical resistance. 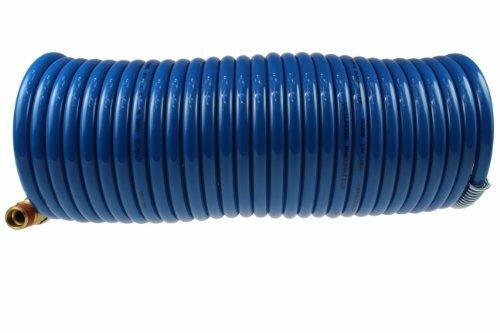 Hardness: 78 Rockwell R. Compatible with push-in and compression fittings. 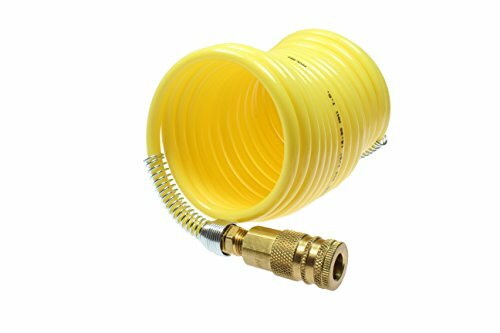 This lightweight, permanently coiled hose is manufactured from tough, abrasion resistant nylon resins and designed to withstand temperatures between - 40 and + 200 Degrees F. Each assembly is supplied with durable Brass compression fittings, tube inserts, and hose ferrules. 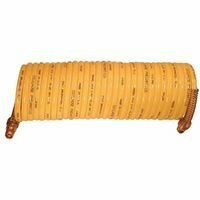 Steel spring guards for additional strain Relief are also provided. 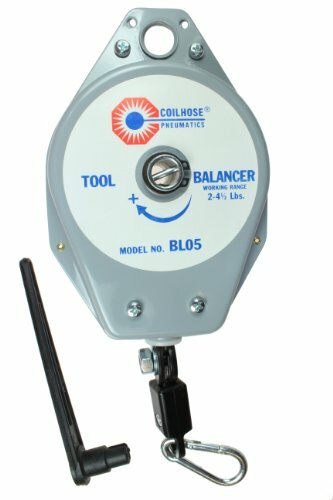 Heavy Duty Mechanical Tool Balancers allow portable tools, weighing up to 25 pounds, to be suspended within easy reach of the operator. Keeps the work area neat and safe while preventing damage to the tool caused by accidental dropping. Withstands temperatures between -60F and +200F. Highly flexible and lightweight. 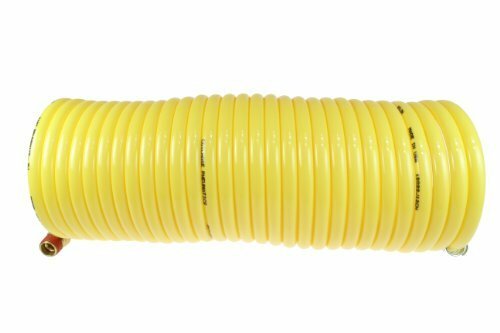 This is a reusable fitting for 1/4" Nylon Self-Storing Air hose. 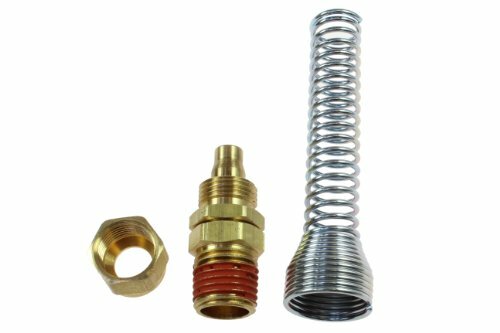 It consists of the fitting body, nut and steel spring guard. 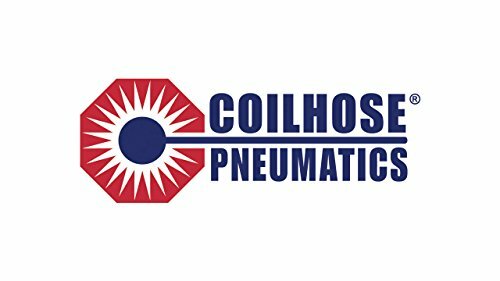 All that's required for installation onto a Nylon coiled hose are two wrenches.